As a politically engaged graphic artist and designer Gerd Arntz (1900-1988) portrayed the world in wood and linoleum cuts. During the 1920s, he conveyed his vision on social wrongs and the rise of nazism in Germany in his prints. He did this in such a simple, direct style that anyone - regardless of their education and nationality - was able to understand his images. 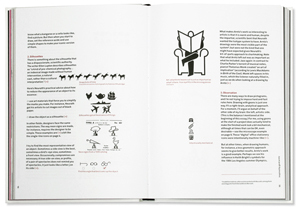 This prompted the Viennese social scientist Otto Neurath (1882-1945) to ask him to design the symbols for the ’International System Of TYpographic Picture Education’ (ISOTYPE). 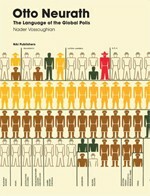 This book displays many Isotypes and explains the system and its context. 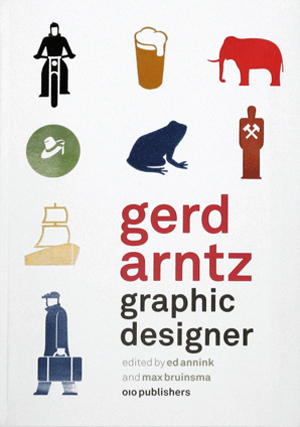 This overview of Gerd Arntz’s life and work includes a selection of his political prints and other rare visual material that was never published previously. 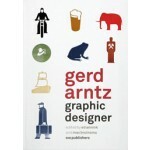 During his long career, Arntz made more than 4000 coherent, powerful and legible symbols and figures. We still see their traces around us on a daily basis: in pictograms featured on objects ranging from traffic signs to gameboys, and in information graphics. 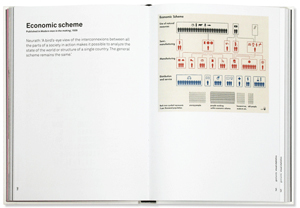 This book displays many Isotypes and explains the system and its context. This overview of Gerd Arntz’s life and work includes a selection of his political prints and other rare visual material that was never published previously. With contributions from Flip Bool, Gert Dumbar, Mieke Gerritzen, Nigel Holmes, Max Kisman, Paul Mijksenaar and Erik Spiekermann. 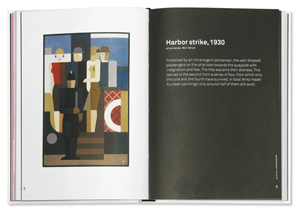 The book’s design works sensitively with areas of colour, partly underlying the illustrations, and dutifully transmits the expression contained within the pictorial language through clear and precise typography. A lovely new monograph on Arntz, published with obvious care by 010, tells his story and reproduces work that can, in every sense, be called iconic. Het boek toont zowel zijn werkwijze als zijn werk, inlcusief een aantal niet eerder gepubliceerde projecten. Zoals het aandoenlijke ‘memoriespel’ waarmee hij zijn zoon Peter hielp woorden te leren via beelden. Zijn werk als beeldstatisticus beklijft zonder enige moeite. Door de rijke hoeveelheid illustraties en de kernachtige teksen een aangenaam bladerboek.